Are you brand new to acting for film & television, and/or do you want to know what advice to give to someone who is new? 2016 Short Script Contest winner! Congratulations to Charles Wilson; winner of the 2016 CSA Short Script Contest! 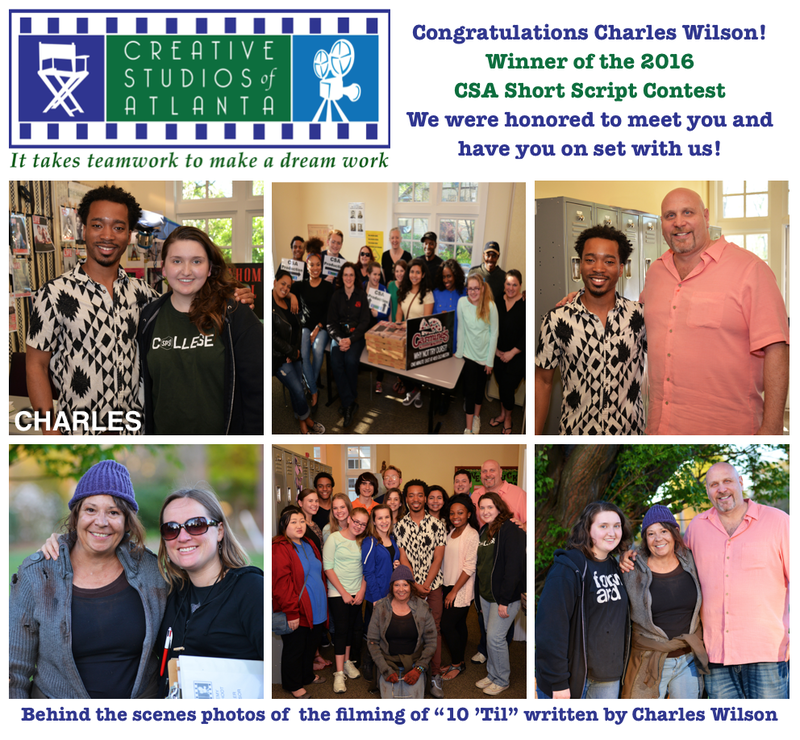 We were happy to meet Mr. Wilson on April 3, 2016, at our CSA Film Academy film shoot. His short script “10 ‘Til” was the winner of the 2016 CSA Short Script Contest & Charles asked if he could come watch the production. Why not! 2016 applicants were asked to create a family friendly character-driven script based upon the theme of “helpfulness”. Please join our mailing list and watch our website for future contests & your chance to win! Producer/Director Ken Feinberg and crew shot footage for 15 shorts over the last 2 weekends with about 40 film academy actors, and many talented extras. Talent’s ages ranged from 8 yrs old – mid 50’s. 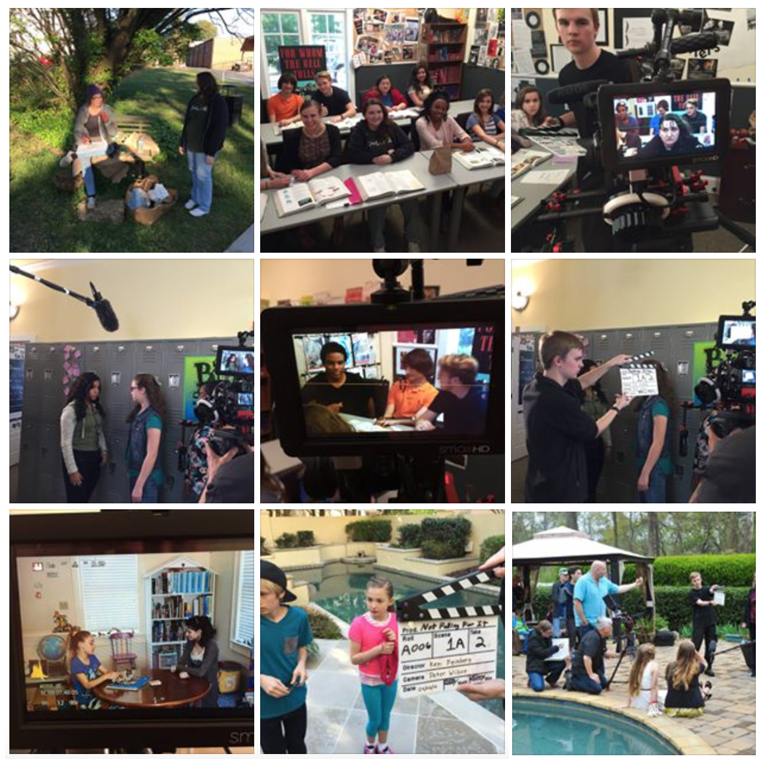 Thanks to a professional crew, hard working actors & supportive parents, another year of CSA Film Academy shoots went smoothly. Actors gained valuable on-set experience in the work-study aspect of the 10-month program. The shorts will be edited and premier on the big screen in May, 2016 as part of the actor’s graduation program. CSA is accepting applications now for the 2016-2017 film academy. Film Academy runs from August-May, and is by audition only. A free information session with acting mentor Ken Feinberg will be held on May 9, 2016 at Atlanta Workshop players from 5-6pm. To learn more about Film Academy, visit http://creativestudiosofatlanta.com/film-academy.